I digress. 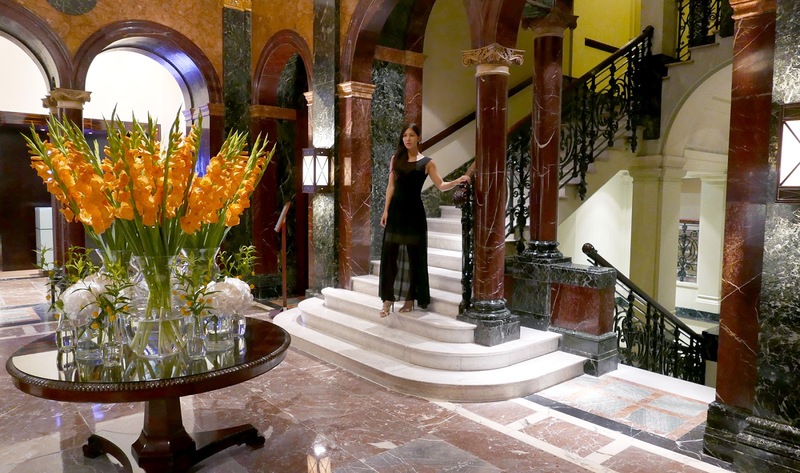 The hotel was undergoing extensive renovations for the duration of our stay, meaning we had to utilise the ballroom entrance as the front was covered in scaffolding. So, I'm afraid I don't have any shots of the main entrance, though if you're curious, a quick Google search will reveal the beautiful, deep orange brick exterior and manicured hedges that are so traditionally British - it's very charming indeed. Our room (a Mandarin room) overlooked Hyde Park. This was ideal: it meant we had all the privacy and peacefulness of the park outside our window, chirping birds being the only sound heard first thing in the morning, yet still had the convenience of all the shops of Knightsbridge at our fingertips, a mere few steps across the road on the opposite side of the hotel. Our stay being a birthday celebration, Jarv ensured that the hotel went above and beyond to make it a weekend to remember. 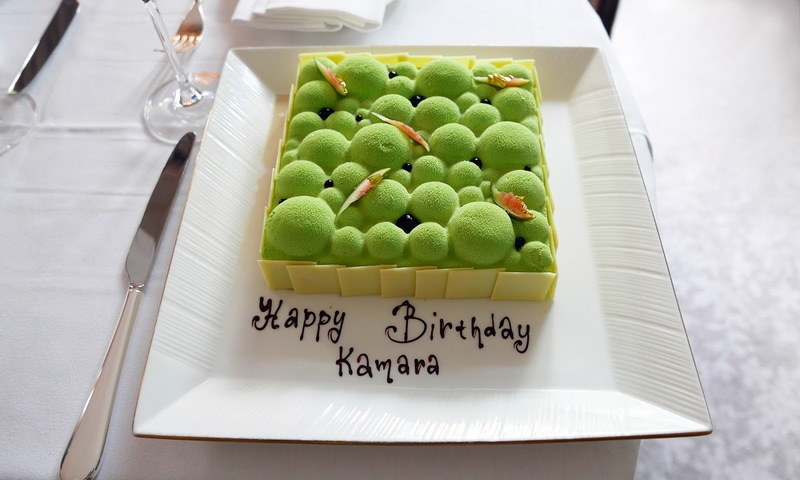 They certainly came through - my favourite flowers (bird of paradise) were placed in a vase by the window, a highly devourable (if that's not a term then it should be), full-sized matcha cake awaited me. It should be noted that I waited all of 30 seconds after the photos were taken to dig into it, and it tasted divine. A bottle of 2015 Sancerre sat chilling in an ice bucket. 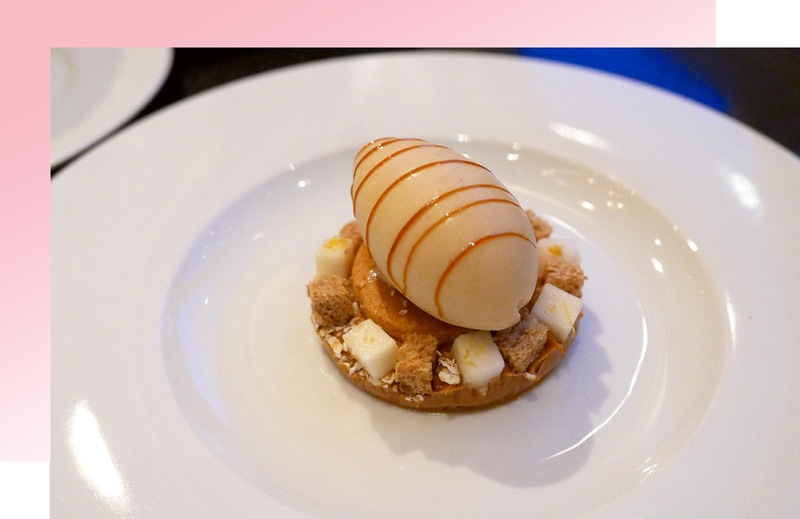 Jarv had one more treat in store for me later that evening: dinner at the hotel restaurant, Dinner by Heston. 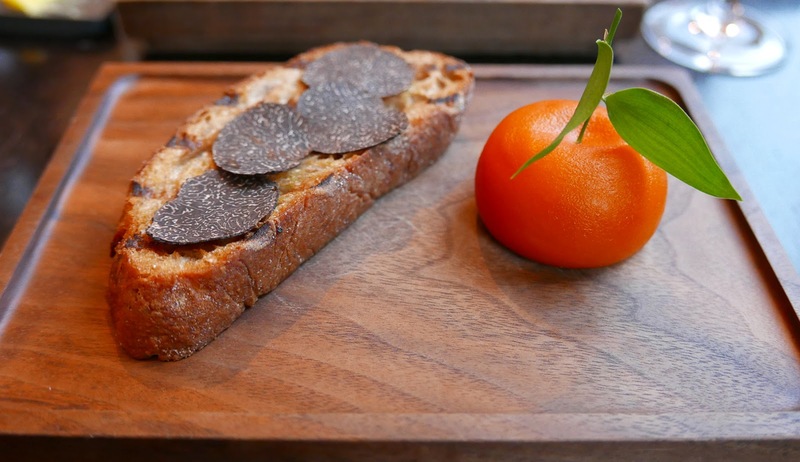 Having been lucky enough to enjoy some of his other renowned dishes in the past (snail porridge and Sound of the Sea), Meat Fruit was the one signature Heston dish I had yet to sample...and had been longing to! Despite knowing exactly what was coming and what to expect, laying eyes on that dish was still a pure delight. Skin that looks so genuine, dimpled and textured; the perfect leaf handpicked by Heston's chefs to create a hyperrealistic looking fruit...then the joy of slowly cutting into it and revealing the soft, more-ish pate inside. Whilst the rest of the meal was perfectly delicious and there were no complaints, the other dishes weren't particularly memorable. I'd recommend Dinner for a nice meal one time, but it's not somewhere I'm desperate to return to (except, perhaps, just to have meat fruit again). 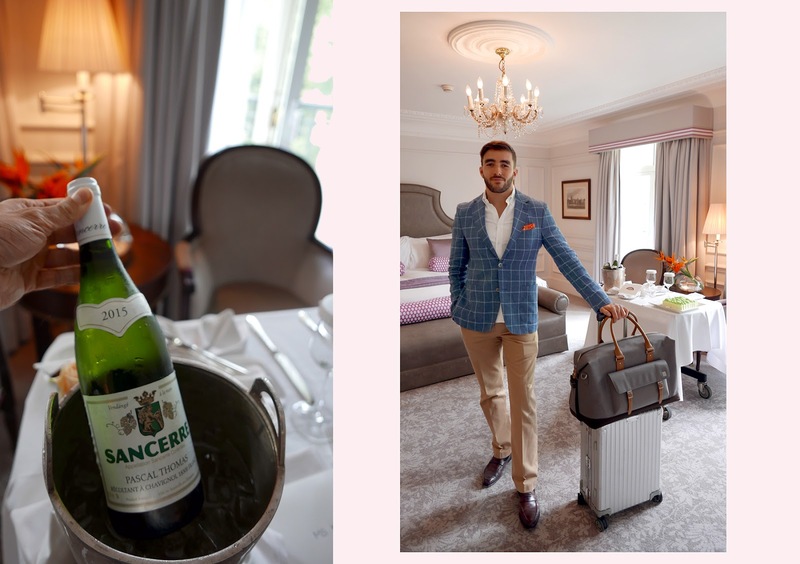 In conclusion: The Mandarin Hyde Park was a beautiful setting for a celebratory staycation and a park view room is a fitting choice if you're looking for a peaceful getaway whilst still being in the heart of the action (in terms of shopping, that is). Service throughout the hotel was fine, though there was nobody at the end of the stay to help us call a taxi or load bags into the back of a car - perhaps the hotel staff were a little out of form with the Mandarin being under renovation at the time. 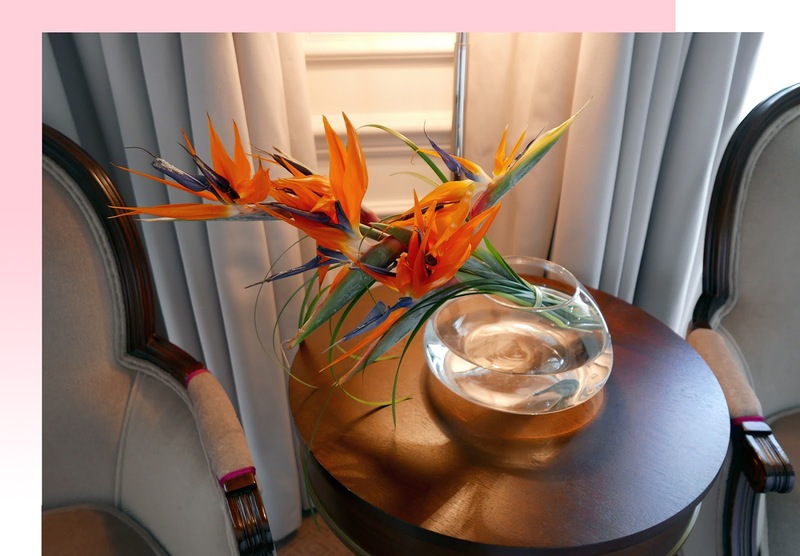 On the other hand, the birthday touches in the room - cake, wine, bird of paradise flowers - were fantastic. The room itself was lovely and very spacious, though perhaps a little simple and in need of renovation in some areas (the bathroom door squeaked and the wall/locked door separating our room from the next one was a bit thin - further sound-proofing is necessary. The view was wonderful and we both loved enjoying a morning coffee on the balcony. Would I go back? 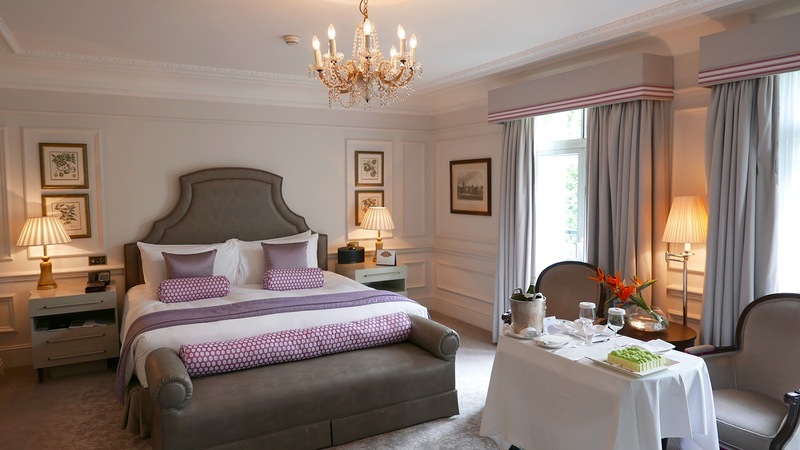 Sure - I'd be intrigued to see how another stay (perhaps in a different type of room) at the Mandarin Hyde Park compares once the renovations are complete in early spring next year. Have you been before? What were your thoughts? Book the Mandarin Oriental Hyde Park here from £720 *contains affiliate link - at no extra cost to you. Oh! 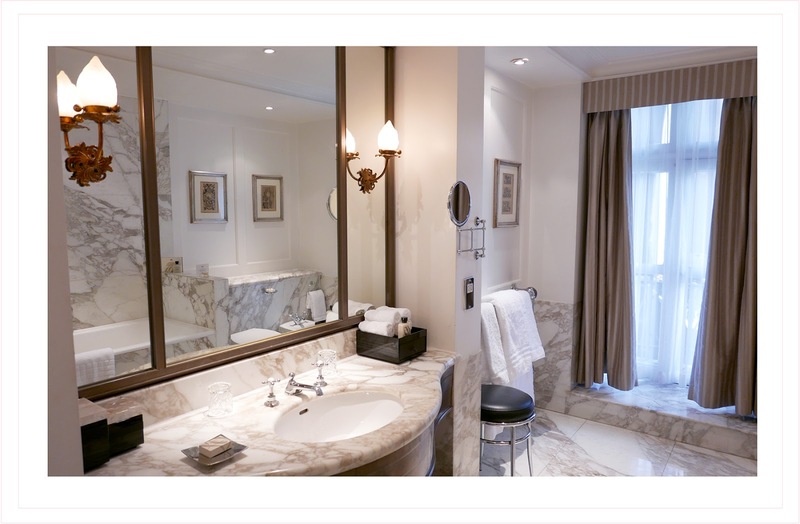 What a beautiful hotel room; the marble bathroom is beyond dreamy and I can absolutely imagine how peaceful it must have been to enjoy a morning drink out on the balcony. Bliss! ps. as always, completely in love with your travel diaries/hotel reviews. Well done Jarv!! What a surprise! I hope you get the chance to someday soon! the hotel looks amazing, especially the food! It was a wonderful weekend, thanks Mary! The hotel looks incredible! You are stunning in the black dress. 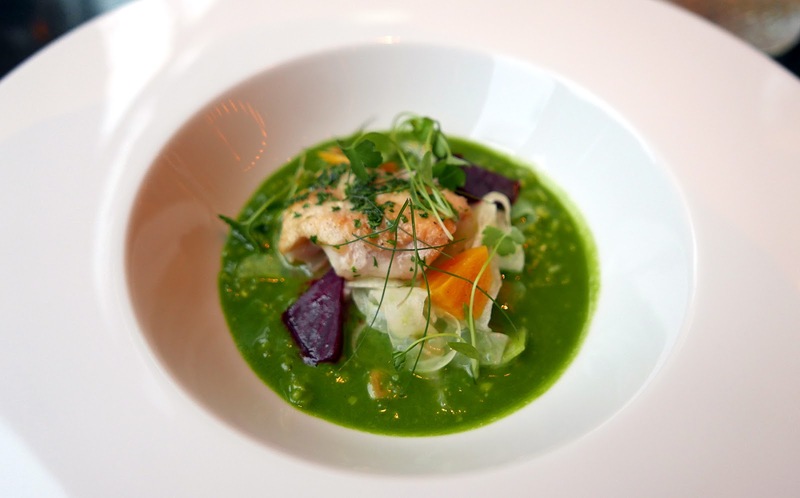 What a beautiful resort and the cuisine looks delectable! What a nice hotel and the food looks great! It was a lovely stay all around! A big fan of both Jarvis' and your blog. May I ask what kind of bag Jarvis has above his Rimowa flight case in your pictures? It looks great!